Arthur S. Ding; review of Andrew S. Erickson, ed., Chinese Naval Shipbuilding: An Ambitious and Uncertain Course (Annapolis, MD: Naval Institute Press, 2016); The China Journal 79 (January 2018): 195-197. Chinese Naval Shipbuilding: An Ambitious and Uncertain Course, edited by Andrew S. Erickson. Annapolis, MD: Naval Institute Press, 2016. vii+ 357 pp. US$39.95 (cloth). 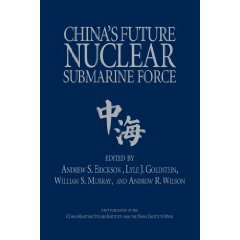 In his introduction, Andrew S. Erickson borrows a Chinese phrase frequently cited in the Chinese media to describe the speed of launching new warships in recent years: “In recent years, China’s navy has been launching new ships like dropping dumplings” (下饺子) into soup broth. Chinese people like this phrase, which signifies China’s growing maritime capabilities, while other countries in China’s neighborhood exhibit concerns. A well-known analyst specializing in the People’s Liberation Army (PLA) in general and the PLA Navy (PLAN) in particular, Erickson tries to answer such questions as what are the drivers contributing to this phenomenon? How advanced are these warships compared with Western counterparts? What progress has been made in China’s shipbuilding industry, and what are the constraining elements in this sector? What is the likely picture for China’s naval development by 2030, and what are the implications for the US Navy? To respond to these questions, Erickson assembled a diverse group of naval officers, scholars, industrial analysts, PLA experts, and related professionals to discuss China’s shipbuilding sector. This book is the product of the conference, held in 2015. This book is composed of several sections. The arrangement of chapters is logical, and the ground covered is thorough. The first section examines foundations and resources, including the types of warfare that the Chinese navy envisions, related mission needs and the impact on warship design, strategic roles that the state expects the shipbuilding sector to fulfill, as well as investment in the industry through state financial assistance and the capital markets. The second section deals with shipyard development in China, including the shipyards’ facilities, managing shipyards, and the factors affecting their develop-ment. 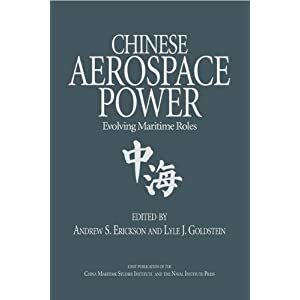 The third section focuses on naval architecture and design, including China’s research and development, standardization, construction, and acquisition of ships. The fourth section reviews deficiencies. Issues covered include shipboard electronics, power, and propulsion, and aircraft carrier development. The final section endeavors to make reasonable projections about China’s navy by 2030, the shipbuilding technologies that China’s navy may employ, as well as the impact on US naval capability development. All of the authors agree that China’s shipbuilding sector has made tremendous progress. In terms of quantity, China has become the second-largest builder of warships in the past decade. In light of China’s economic growth and size, it can be expected that by 2030 China will build enough ships to become the second-largest naval force in the world, with diverse types of warships ranging from aircraft carriers to destroyers, frigates, submarines, replenishment ships, and amphibious ships. With these diverse types of ships, China will be able to launch near-sea defense and far-sea protection. In short, China’s goal of becoming a maritime great power can be achieved. In terms of quality, China’s shipbuilding industry has entered an “imitation and innovation” period, able to conduct reverse engineering and master new technologies after three decades of trial and error. Nevertheless, there are technological hurdles that have to be overcome before 2030. In the field of power and propulsion, as pointed out by Erickson, Jonathan Ray, and Robert Forte, China still relies on imported diesel and gas turbines, while air-independent power is not able to offer enough power, and progress in lithium-ion batteries needs to be tested. Progress has been made in developing nuclear reactors for submarines but not enough to support aircraft carriers. 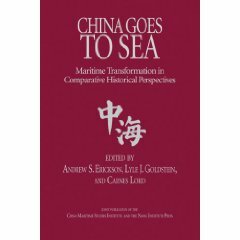 The book makes a large contribution to our understanding of the status and progress of China’s shipbuilding industry. 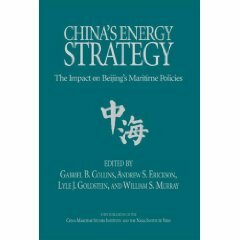 All of the authors have made very good use of the available public sources, including the Chinese government’s policy announcements and regulations, industrial analyses, and individual enterprises’ publications, and this enables them to make a knowledgeable assessment of the progress in China’s shipbuilding industry. Nevertheless, two additional questions ought to addressed. The first is related to the sources of progress in the shipbuilding industry. “Launching new ships like dumplings” is the outcome that we can see, but what contributed to this outcome? There is no doubt that the Chinese government has perceived this as a very strategic industry and has poured in tremendous resources, but what else has contributed to this outcome? Did China make progress in business and program management, for instance? If so, what are the implications for other defense industries? The second question addresses sustainability. With its rapidly growing economy, China has been able to afford to “launch new ships like dumplings.” But as James Fanell, Scott Cheney-Peters, and Michael McDevitt point out, in the wake of slowing economic growth, to what extent can warships continue to be churned out as planned or continue to be well maintained, and thus, to what extent can the maritime dream be sustained? This question is probably urgent for China’s naval planners.